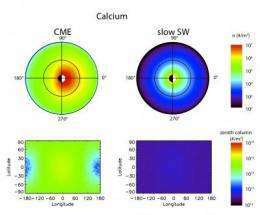 (PhysOrg.com) -- Solar storms and associated Coronal Mass Ejections (CMEs) can significantly erode the lunar surface according to a new set of computer simulations by NASA scientists. In addition to removing a surprisingly large amount of material from the lunar surface, this could be a major method of atmospheric loss for planets like Mars that are unprotected by a global magnetic field. 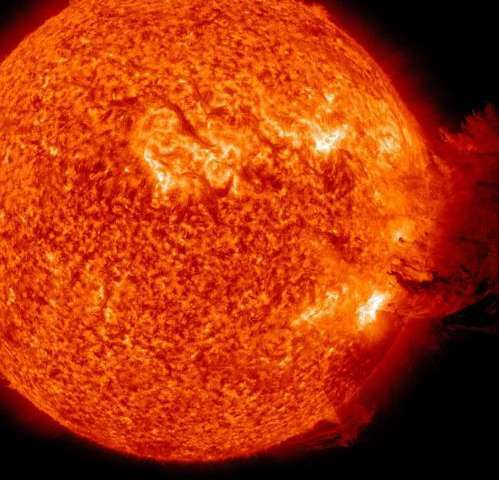 "We found that when this massive cloud of plasma strikes the moon, it acts like a sandblaster and easily removes volatile material from the surface," said William Farrell, DREAM team lead at NASA Goddard. "The model predicts 100 to 200 tons of lunar material  the equivalent of 10 dump truck loads  could be stripped off the lunar surface during the typical 2-day passage of a CME." 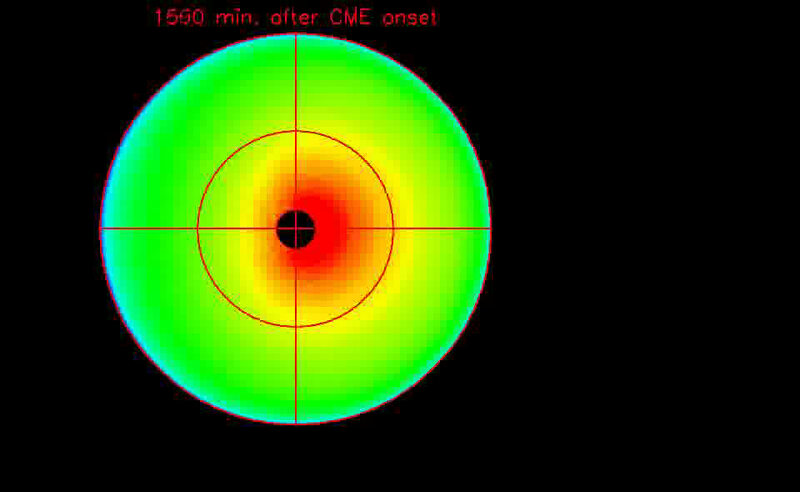 The moon is not the only heavenly body affected by the dense CME driver gas. Space scientists have long been aware that these solar storms dramatically affect the Earth's magnetic field and are responsible for intense aurora (Northern and Southern Lights). While certain areas of the Martian surface are magnetized, Mars does not have a magnetic field that surrounds the entire planet. Therefore, CME gases have a direct path to sputter and erode that planet's upper atmosphere. In late 2013, NASA will launch the Mars Atmosphere and Volatile Evolution (MAVEN) mission that will orbit the Red Planet to investigate exactly how solar activity, including CMEs, removes the atmosphere. Papers on different aspects of the CME impact simulation are being written and will appear in the special issue of the Journal of Geophysical Research Planets. The team's research will also be presented December 5 during the fall meeting of the American Geophysical Union in San Francisco. So, are they ready to consider Wal Thornhill's 'electric comet' yet, now that they're willing to consider 'sputtering' from surfaces? In particular the notion that the OH (hydroxyl radical) in comas is not a photolysis breakdown product of 'hidden water' (dirty snowball, icy dirtball) but rather a recombination product of sputtered oxygen from surface minerals of an overall rocky body (Stardust's samples seem to bear out the notion of comet nuclei being rocky bodies) with hydrogen ions from the solar wind? Seems like every day the hypothesis gets closer and closer to reality, one observation / inference at a time. Just my opinion, of course... I'll leave it at that. Is it enough lunar material being removed that matter? The moon and the Sun have existed for 4 billion years and there's undoubtedly been millions of CMEs during that time. Sputtering effects are well known in vacuum and Vacuum Arcs help to understand the material part of phenomena. The subject must raise to the level of seeing Moon as a reflector as part of Life Support. Integration of threads-Plasmas-Magnetic fields-Sun-Moon-earth relative effects help Science to catch-up with Nature and philosophy.Cosmology Vedas Interlinks looks forward to advancement of Science-see Environment sensex in my projections.